Is your vehicle vibrating when you drive a certain speed? You may need a wheel balance. When one part of your tire is heavier than another, it can cause problems when driving. At Alexander’s we have the tools to balance your wheels and restore your car to its best performance. Our honest and friendly technicians will help you through the process. You can count on our experienced technicians to accurately balance your wheels and give your car the performance you need. Stop in today or schedule your appointment below. How Does Wheel Balancing Help? When tires are made, they have small inconsistencies. When installed on the vehicle these inconsistencies can cause a vibration or abnormal tire wear. New wheels are manufactured to be free of defects, but Minnesota roads will cause inconsistencies on their own. Wheel or tire balancing service adds weights to the wheel so these inconsistencies aren’t felt while driving. 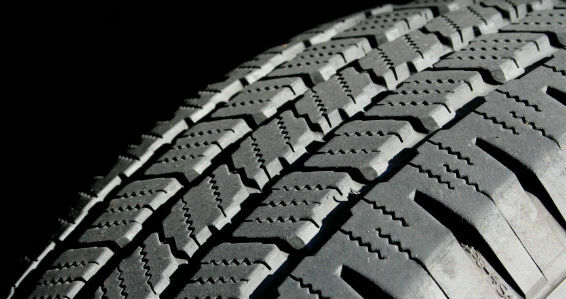 It also helps to eliminate abnormal tire wear caused by tires or wheels being out of balance. There are a few reasons why a tire or wheel may be out of balance. The first possibility is that the tire was made that way. That’s why we always balance the tire/wheel when replacing tires. The other common reason for tires to be out of balance is damage done while driving. The tires take the brunt of poor road conditions. In Minnesota, these poor road conditions can be especially bad. Often times large bumps or potholes will cause variations in the wheel. The most common symptom of a balance issue is a vibrating vehicle. The vibration may be present all the time or only at particular speeds. A small variation in the balance will usually only cause a vibration at highway speeds. How you experience the vibration will depend on which wheels are affected. If one of the front wheels is out of balance, you’ll feel the vibration throughout the car and in the steering wheel. If one of the rear wheels is out of balance, you won’t feel the vibration in the steering wheel. Often times when more than one wheel is affected, you’ll experience the vibration everywhere. Unfortunately this vibration problem won’t fix itself. The wheels will need to be balanced to prevent abnormal wear and premature tire replacement. First, any previous weights are removed. The tire/wheel assembly is mounted on the balancing machine. The Hunter Balance Machine is a machine that measures the balance, roadforce, and runout of the tire. The machine then recommends where to install weights to eliminate the problems. Once the tires/wheels are balanced they’re reinstalled on the vehicle and torqued to the proper specification. The final step is a test drive to confirm the problem is resolved. The wheel balancing machine is also capable of recommending how to roadforce balance the tire/wheel. Roadforce balancing is a process in which the tire position is moved on the wheel so that the heavy part of the tire is at the light part of the wheel, and vice versa. This eliminates vibration and excessive roadforce. Roadforce balancing is often done if there’s some damage to the tire or wheel. It’s more costly to do it this way, but it can cure vibrations that balancing alone can’t. Our technicians have installed thousands of tires and balanced even more. Our state-of-the-art equipment allows us to perform accurate balancing with ease. This means you can trust us to do it right the first time and know we won’t overcharge you.